Are High-Flying Gold ETFs Ready for a Pullback? 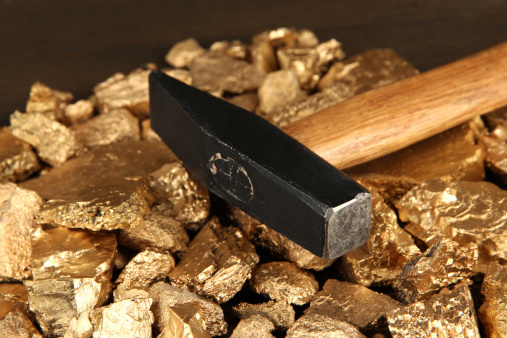 More than seven months into the year, it is obvious that the VanEck Vectors Gold Miners ETF (NYSEArca: GDX) and the VanEck Vectors Gold Miners ETF (NYSEArca: GDXJ), along with rival gold miners exchange traded funds, are easily among this year’s best performing ETFs. In some cases, including that of GDXJ, non-leveraged gold miners ETFs have more than doubled year-to-date. For its part, GDXJ is up more than 160% this year, making the better than 120% gain posted by GDX, the largest gold miners ETF, seem small by comparison. The rapid rise of these ETFs and their rivals has some market observers questioning whether near-term pullbacks are looming. Gold miners currently trade at about a 59% discount to gold prices since 2009, have a price-to-book value of 1.0x and an average dividend yield of 2.8%, which makes the sector look attractive from a valuation standpoint. Moreover, U.S. economic weakness and speculation of the Federal Reserve pushing back on another interest rate hike have contributed to a depreciating U.S. dollar, which has also helped support USD-denominated gold bullion. Consequently, a weaker USD makes alternative assets like metals more attractive.